The Purpose of this article is to help the reader answer some questions about static electricty: What is static electricity? ; How to solve static electricity problems? ; How to neutralize or control static charge? ; How to remove static charge from non conductive material suce has plastic, paper and glass. STATIC ELECTRICITY: Static electricity is an imbalance of electric charges within or on the surface of a material or electricity at rest. Static Electricity is electricity but its characteristics create problems which cost industry billions of dollars per year. A clearer understanding of static electricity and electrostatics can be gained by explaining lightning. Static electricity in the atmosphere is in an unbalanced state remains at that way until the potential gradient, between clouds, reaches a level that causes the insulator between clouds, in this case air, to break down or fail. Lightning is created to equalize the potential gradient. For the brief instant the lightning flashes, the static electricity becomes the more familiar electricity is no longer at rest. What do we know about this phenomenon called "static electricity" or "electrostatics" or "static shock"? What is static electricity and how do we remove static electricity or at least control / reduce static electricity? The information below will help you to understand static electricity and to control the costs associated with it. Static electricity is generated by an unbalance of the molecular construction of relatively non-conductive insulators such as plastics, paper, glass, ceramics and other non conductive materials. All matter is composed of atoms. A balanced atom contains positive charges that are present in the nucleus of the atom. An equal amount of negative charges orbits this nucleus in the form of electrons. Both charges are equal and, therefore, the overall charge of a balanced atom is zero. However, should this configuration be disturbed and several electrons removed from this atom, we end up with a greater positive charge in the nucleus and a deficiency of electrons, which gives you an overall charge in the positive direction. Conversely, should we add a few extra electrons, we have an overall charge of negative, due to the fact that we now have an excess of electrons and the net charge is now in the negative direction. See figure below. Some materials such as glass, hair, and Nylon tend to give up electrons and become positively charged. Other materials such as Polypropylene, Vinyl (PVC), Silicon, Teflon, Silicone tend to collect electrons and become negatively charged. The Triboelectric series is a listing of various materials and there tendency to charge positive or negative. The ability of material to surrender its electrons or absorb excess electrons is purely a function of the conductivity of the material with which you are working. For example, a pure conductor, such as copper, has a rigid molecular construction that will not permit its electrons to be moved about freely. However, as you approach the semi-conductor range, such as some bond papers, the ability of this material to surrender its electrons is relatively easy and can be accomplished by friction, heat or pressure. As you approach the purely non-conductive materials, such as plastics, glass ceramics, it is extremely easy to disrupt the molecular construction and cause the material to charge with the slightest friction, heat or pressure. If the conductivity of your processed material can be controlled, then, preventing static electricity becomes relatively easy. However if the material is nonconductive static electricity can build up on the material. For example, adding surface conductivity to plastics will move them up into the higher conductivity range and prevent the build up of static electricity that is caused by friction. This is normally accomplished by use of additives such as moisture and anti-static sprays. The average anti-static spray is made up from a soap based material that's been diluted in a solvent, such as mild alcohol. A fire retardant is added to combat flammability of the solvent. A short time after contact with your material, the fire retardant and solvents evaporate leaving you with a conductive coating on the surface of the material. The plastic has now become conductive and as long as this coating is not disturbed, it will be difficult to generate static electricity in this material. By following the above steps, you can reduce the hazards of building up high charges of static electricity to a point. However the above steps are passive and of limited effectiveness. Also changing a specified material or adding a spray may not be possible or allowed. An active method static control is by ionization. It is important to understand that static electricity cannot be entirely eliminated. In fact, the terminology, "static eliminators," is definitely misleading. 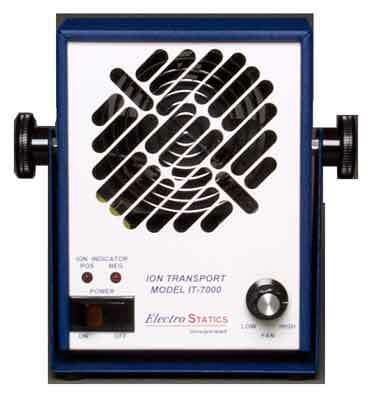 Static eliminators are really ionizing units that produce both positive and negative ions to be attracted by the unbalanced material so that neutralization does occur. For example, a charged piece of material can be neutralized by utilizing a static neutralizer. However, it does not eliminate the static electricity because, if the material is again frictioned after being neutralized, static electricity will be generated. In order to gain the most benefit from your static neutralizing or static control equipment, it is important that you understand how they operate and how they provide the means of neutralization. 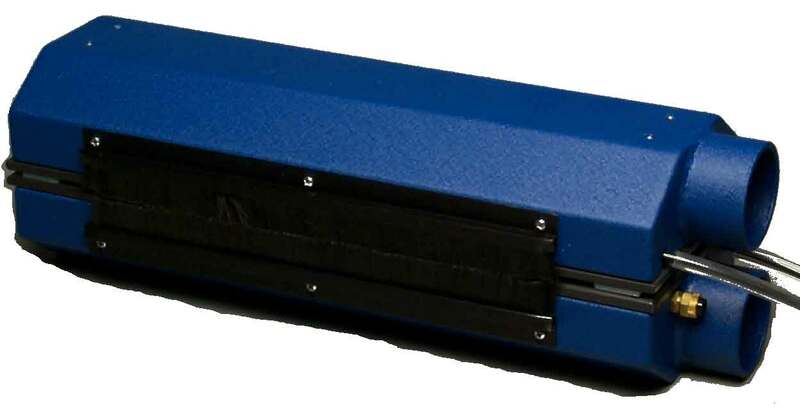 Most electronic static neutralizers are constructed by placing a high voltage on a sharp point in close proximity to a grounded shield or casing. There are two basic types static control ionizers- AC & DC. With Alternating Current ionizers the high voltage alternates current pulses through the 60 cycle operation, the air between the sharp points and the grounded casing is actually broken down by ionization and therefore both positive and negative ions are being generated. Half of the cycle is utilized to generate negative ions and the other half is utilized to generate positive ions. On 50 or 60 cycles per second power grid polarity is changing ionization every 1/100 or 1/120 of a second. DC ionizers also put a high voltage on a sharp point but need to produce the opposite polarity by a second power supply or some kind of circuitry to switch polarity. Both AC and DC Systems have advantages. The application, cost, performance, space are all factored into deciding the proper type of static control ionizer to use. If the material being neutralized is charged positive, it will immediately absorb negative ions from the static neutralizer and repel the positive ions. When the material becomes neutralized, there is no longer electrostatic attraction and the material will cease to absorb ions. Conversely, if the material being neutralized is charged negative, it will absorb the positive ions being generated by the neutralizer and repel the negative ions. Again, once neutralization is accomplished, the material will no longer attract ions. See figure below. Nuclear-powered equipment may also be used to generate ionized air for static neutralization. These devices, powered by Polonium 210 isotopes which have a half-life of only 138 days, are continually losing their strength and must be replaced annually. They are more expensive and less effective than electrically powered devices. These nuclear devices cannot be purchased and are leased by users. One year lease costs are usually more than the purchase price of comparable electrically powered devices. Please review this article for addition information on the unique issues related to high speed applications. Learn more about static control for Electronics and Electrostatic Discharge (ESD ) issues. B. Define the problem and goals needs to be reached to consider the problem solved. D. Select the proper static control equipment to solve the problem. Trouble shooting a static electricity problem, some sort of measuring equipment is helpful. 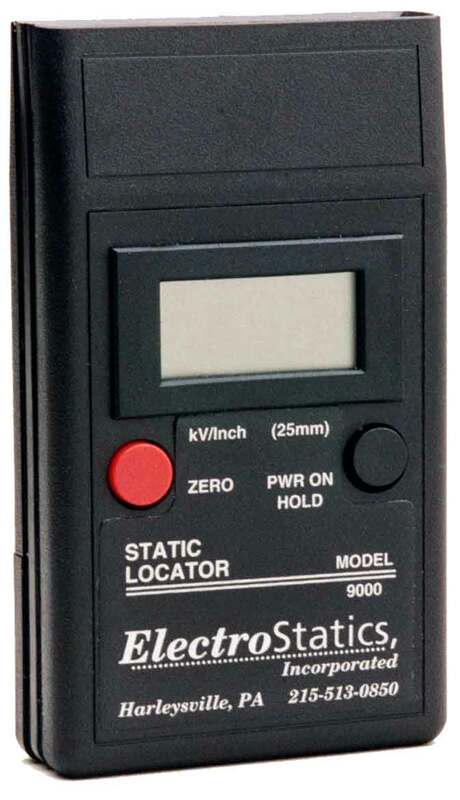 For example, an ElectroStatics, Incorporated Model 9000 electrostatic meter will measure the amount of static electricity that is present and identify the polarity as either positive or negative. Measuring and locating static electricity will remove the mystery often associated with this phenomenon. Once the problem is identified and goals defined, the solution options should be considered next with the help from the experienced engineers at Electrostatics, Inc.
Before any problem can be solved it must be identified. Is your problem related to static electricity? An in-depth analysis should be made with the necessary equipment and experience to identify and solve the problem. Removing or neutralizing static electricity by induction is the simplest and oldest method. 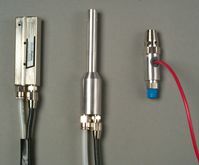 Tinsel or special wire are the most common tools for this application. However, tinsel is oftentimes misused, get dirt and damaged and, therefore, oftentimes not successful. The first thing that must be recognized is the fact that any induction device, such as tinsel, will never reduce or neutralize static electricity to the zero potential level. This is due to the fact that a threshold or beginning voltage is required to "start" the process and that voltage is high. First, the correct induction equipment must be utilized. The induction bar must be well grounded electrically. The induction bar must be stretched tight and placed 1/4 of an inch from the material to be neutralized. There must be "free air space" under the material to be neutralized directly under or over the spot where you place the tinsel. In this fashion the induction will reduce static electricity on both sides of the static laden material. Actually, if the above steps are utilized, the sharp ends or points of the grounded induction device will ionize the air over the surface being neutralized, because the grounded sharp ends are placed within the electrostatic field that is present due to static electricity. If the static charge is negative in polarity, the electrostatic field is negative and positive ions are generated via the grounded sharp ends of the induction device and the positive ions are attracted back to the static laden surface. Conversely, if the static charge is positive in polarity, negative ions will be generated by the grounding induction device and attracted back to the charged area. Induction does work but is limited to reducing the level of static to a threshold level which usually still very high and usually higher than what is needed to reduce or eliminate problems related to static electricity. Ionization or active static control is the best way to reduce static charge on non conductive surfaces to very low levels. Personnel grounding equipment becomes important if your operators are sitting while working. This is the best means of isolating operators and, therefore, they become extremely vulnerable to static discharge due to charging. This phenomenon can be related to an individual dragging his feet on the living room rug and then discharging himself by touching a well grounded lamp. In addition, grounding of all your plant machinery and related equipment is most important. It never ceases to amaze us that so many plants are operating machinery that is not grounded electrically. Besides the safety factor, a grounded machine will help drain off extremely high charges of static electricity from partial conductors. Remember, grounding is only an aid to reducing your problems with static electricity. It is not a solution. For example, grounding your operators will not drain off static electricity from their clothing. Also, it will not drain off static electricity from a plastic container one maybe holding. The conductivity of some clothing and most plastics is so low that electricity cannot flow to a ground; hence, "static electricity." To solve this problem, ionization or active static control must be utilized. Broad area static control and reduces operator shocks. 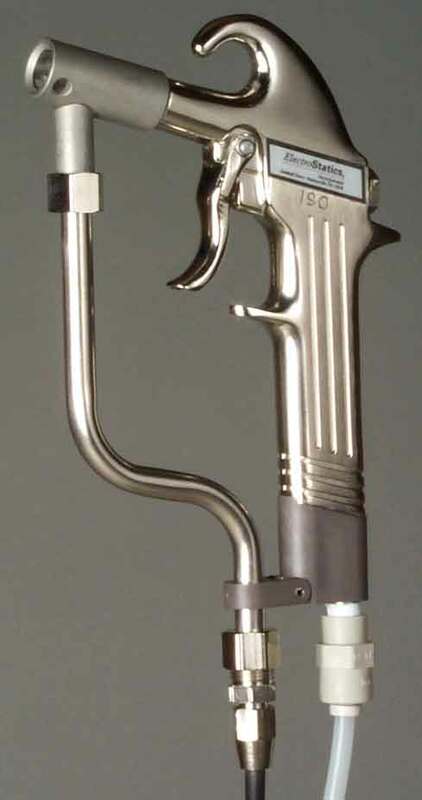 Part blow off and pin point static control.